According to Harrison Ford, 'Star Wars: The Force Awakens' is "incredible"
Harrison Ford thinks 'Star Wars: The Force Awakens' is "incredible". The Hollywood legend has reprised the role of Han Solo for the JJ Abrams-directed movie and while he's remained tight-lipped about the plot, he's reassured fans it'll do justice to the earlier movies. He told 'The Jimmy Kimmel Show': "Why would you want to say anything [about it]? I want the audience to experience it. I don't want them to hear about it. "I can tell you this - it's really, really good. Trust me, it's really good. The new cast... Daisy Ridley, John Boyega, Adam Driver and Oscar Isaac are phenomenal. 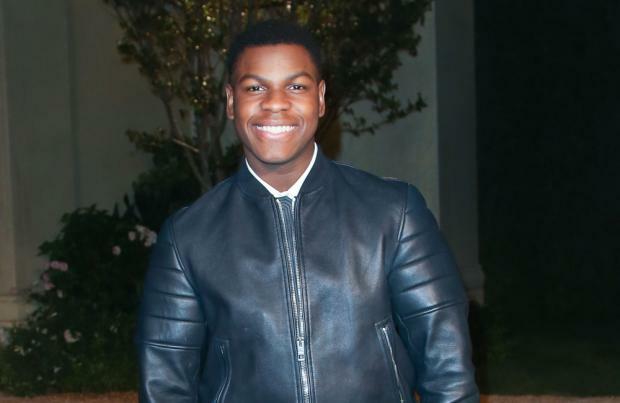 Meanwhile, Harrison's on-screen co-star John Boyega confessed recently that he cried when he first read the script for 'Star Wars: The Force Awakens'. The British actor, who plays the role of Finn in the new movie, said: "When I read the script I cried, and I'm not really a big crier ... I'm more like a frog-in-the-throat kind of guy, who'll try to hold it in and make sure I don't let it all out."